There is no doubt that a pond can add real benefits to your St. Petersburg, Suncoast and Tampa residential or commercial property. Not only is it an amazing water feature but the natural environment that it provides also makes it a safe home for fish, birds as well as all types of flora and fauna. On top of that, the installation of a pond in your St. Petersburg, Suncoast and Tampa property—whether residential or commercial—can enhance the curb appeal of your home or business, thereby making it a more attractive real estate option if you ever decide to sell. However, despite all these things being true, the simple fact of the matter is that if you want to make sure that you get all the benefits of a pond, you need to make sure that it is as clean and well-maintained as possible. With years of experience in high-quality pond maintenance, there is no job too big or task too small for the skilled and dedicated team of pool care specialists at Lake & Pond Maintenance Inc. Our pond-care service is unrivaled, and we will stop at nothing in the pursuit of perfection for all our clients. So, if you feel that your pond has seen better days, or you simply want to have a regular maintenance inspection done, then we should be the first and only number you call. We promise, you won’t be disappointed. As we mentioned earlier, ponds add a real sense of beauty and elegance to your property. A water feature of this nature is invaluable, but it is not without problems. What many people fail to realize is that ponds are complex ecosystems and, if not treated correctly, can depreciate. So, whether you use your pond for recreation, a home for your fish or as a beautiful water feature, the fact of the matter is that you have probably encountered issues with algae. Chances are that you have heard about algae—the problem is that you may not know how to deal with it. The first thing to know about algae is that there is more than one type. The second thing to know is that it will probably turn your pond green. Thankfully for you, that is where we come in. Our experienced teams of aquatic management professionals can help you identify what type of algae is growing in your pond and once that is done we can figure out what to do next. We can easily identify the differences between planktonic and macrophytic algae and can put a comprehensive plan in place to correct the problem quickly and effectively. 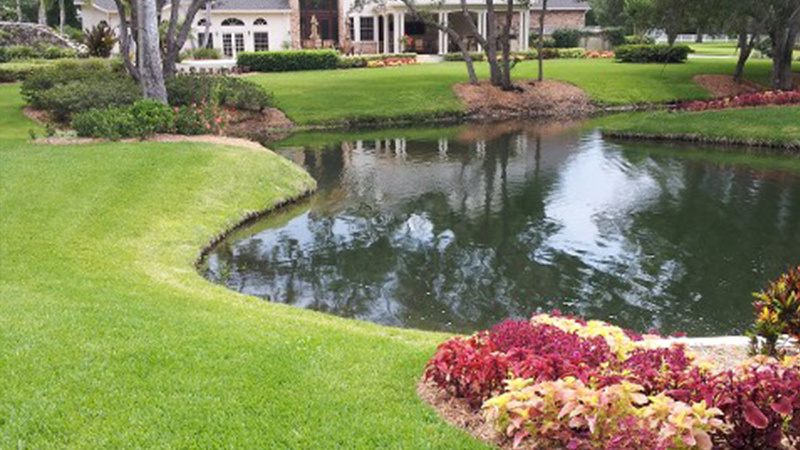 If you want a pond maintenance service that is as affordable as it is effective, then you really need to look no further than Lake & Pond Maintenance Inc. Trust us, you’ll be glad you called.